Just what every mekboy wants; an even bigger `Dread! 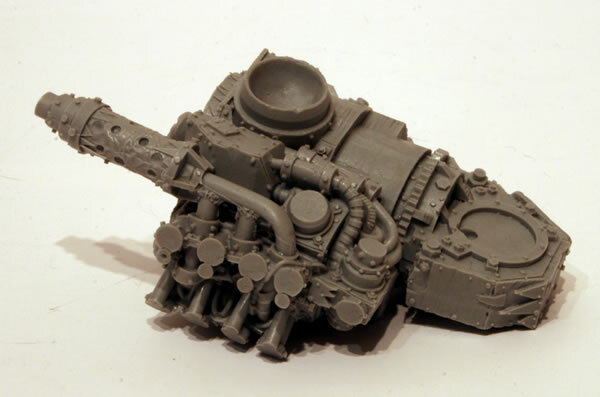 This large new model is a great addition the Ork ranks; a smoke-belching, hydraulic monster able to tear apart enemy tanks and smash a side lesser war machines with contemptuous ease. Designed by Phil Stutcinskas with pilot by Mark Bedford, this is another amazingly detailed model which, standing at over 5” tall, dwarves a Space Marine Dreadnought. 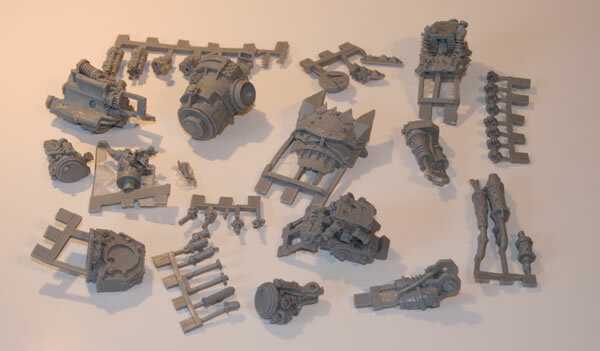 Just as with our Space Marine Dreadnoughts we are selling the main body of the Mega-Dread (which also comes with two ‘Gatling gun style’ big Shootas) and its weapon arms separately. The two arms we are releasing with it are the Mega-Dread Killkannon arm and the Mega-Dread Rippa-Claw arm. Both of these weapon arms are designed to fit on either side of the Mega-Dread’s body allowing you to customise it as you wish. 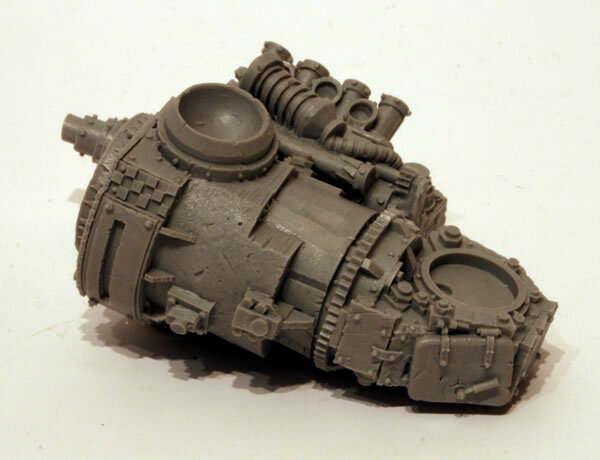 Ork Mega-Dread Killkannon: The Mega-Dread Killkannon is a large bore cannon which is fed shells revolver-style from a rotary magazine, and allows the Mega-Dread to tote an artillery piece as easily as an Ork Boy would his shoota, blasting the Mega-Dread’s path through the enemy. 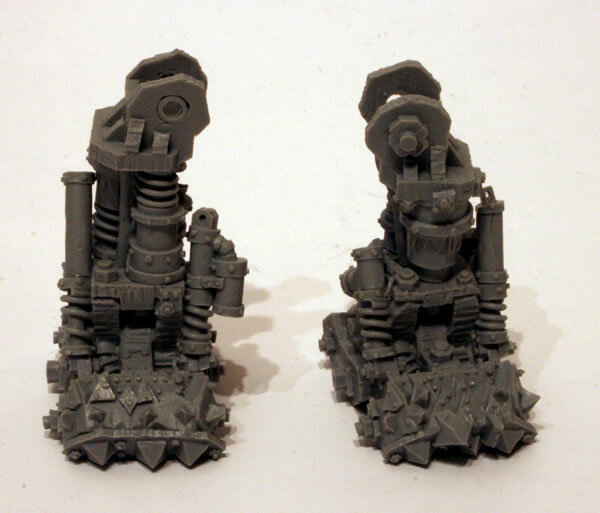 Ork Mega-Dread Rippa-Claw: The Mega-Dread Rippa-Claw is a huge mechanical pincer-claw designed to punch through the toughest armour, and it lets the Mega-Dread rip great chunks of wreckage from enemy vehicles and dismantle siege defences and bunkers piece by piece. 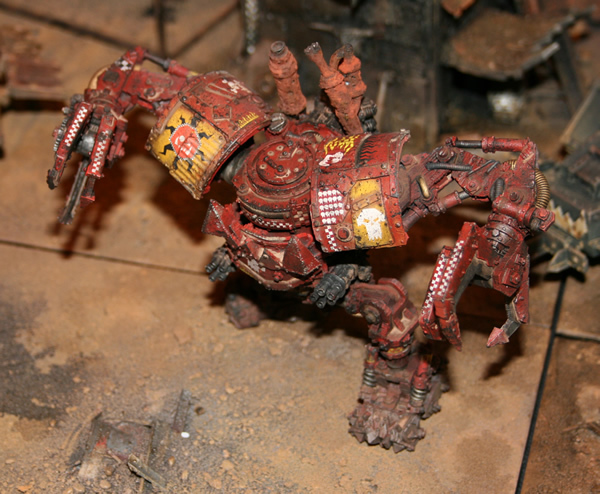 I bought mine at GamesDay 2009 and purchased it with two Killkannons as I didn't think much of the Rippa-Claw, it looked flimsy in comparison to the model as a whole. Here is a photo of all the resin pieces. The body, waist and engine sections went together quite easily. I then added one of the exhausts. The legs have a fair few parts, including pistons.